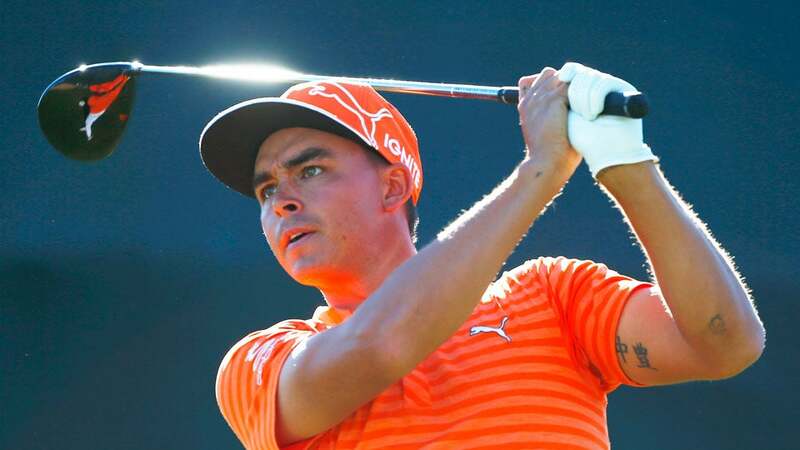 Rickie Fowler hit into the water on the 17th hole at the Phoenix Open not once, but twice on Sunday. Every Sunday night, GOLF.com conducts an e-mail roundtable with writers from Sports Illustrated and Golf Magazine. Check in every week for the unfiltered opinions of our writers and editors and join the conversation in the comments section below. 1. The turning point of the Waste Management Phoenix Open came when Rickie Fowler arrived at the driveable par-4 17th (in regulation) with a two-shot lead. Fowler could have taken trouble out of play by hitting an iron or fairway wood off the tee, but instead he ripped a driver through the green and into the water. The miscue opened the door for Hideki Matsuyama, who pulled even with Fowler and later beat him in a playoff. Did Fowler make an obvious strategical error, or was his decision to stay aggressive defensible? Josh Sens, contributing writer, GOLF Magazine (@JoshSens): The real question is what was I thinking taking Carolina in the first half, laying three. Oh ... but golf. Yeah, absolutely a mental hiccup on Rickie's part. On the upside, the swing was pure, so he can focus on that in retrospect instead of the poor decision. It seemed on the tee that there was some discussion between him and his caddie, who ultimately persuaded him to hit the big dog. If Rickie were Bubba, we might have seen a full-on dressing down right there. But it looks like we'll get to Bubba in a minute. Cameron Morfit, senior writer, GOLF Magazine (@CameronMorfit): That 17th hole seemed to be in Fowler's head both in regulation and in the sudden-death playoff. Yep—major strategic misfire. I actually thought he had the tournament wrapped until that happened. Maybe he had jet lag. Oh, wait. That was last week. Jeff Ritter, digital development editor, Sports Illustrated Golf Group (@Jeff_Ritter): It was a strategic error, but it was also Rickie staying true to his playing style: full throttle. He'll learn from that one. Alan Shipnuck, senior writer, Sports Illustrated (@AlanShipnuck): He was thinking, ‘Crikey, even if I win this the guys at Tour Confidential will say it's not a Big Four until I win a major, so what's the point?' It was ennui, not poor course management, that cost him the tournament. Morfit: Pretty sure the ennui was ours. If you've got a two-shot lead with two to play and the other guy doesn't finish birdie-birdie and you don't win, geez, I don't know how that's not a brain cramp. Gary Van Sickle, senior writer, Sports Illustrated (@GaryVanSickle): Fowler's shot landed on the downslope of a mound. That's the only reason it shot over the green. Should he have hit a different club? Well, he did in the playoff and that went in the water, too. Joe Passov, senior editor, Golf Magazine (@joepassov): I'm with Josh ... and Gary on this one. He hit it pure, and got a bad break. But like Greg Norman in the 1989 British Open, why hit a club that brings any of that into play? Rickie's been so sharp with his wedges, why not just lay up, wedge close and either make birdie or par? Michael Bamberger, senior writer, Sports Illustrated: I don't understand that decision, but I don't understand Hideki hitting driver there on the fourth playoff hole, either. I think we all know what Tiger would have done in those sitations. But he wouldn't have found himself in a playoff. 2. Bubba Watson drew squawks (and boos) when he said that he played the Phoenix Open only for his sponsors and that he doesn't like the course. ("I'm not going to PC it," he said.) Bubba was merely being truthful, which is what we want from our Tour pros. Did he deserve to get hammered? Shipnuck: The problem is that Bubba has such a long history of petulance (“MUDBALLLLLLL”) that everything he says is seen through that lens. If a Spieth or a McIlroy had made the same comments they would have been saluted for their honesty. Bubba no longer gets the benefit of the doubt. Sens: Exactly. Another player could have said very much the same and there would have been little if any blowback. Bubba talking (his) truth just sounds like Bubba whining. Morfit: He seemed to be complaining that some of the changes target the big hitters. I guess I give him credit for not editing himself, but saying stuff like that is always going to sound terrible because first of all, these guys have it so good, and second, the big hitters pretty much always have their way on Tour. The guys in Ponte Vedra might deny it, but they love the long ball. Van Sickle: Bubba is not alone among players who aren't impressed with Weiskopf's course changes, starting with the blinding white sand in the bunkers in the sunny Southwest. But the way he said it, “I'm only here because of my sponsors,” insulted the tournament and its fans. He should've stuck to criticizing only the changes. Morfit: Between Bubba's comments and Phil bristling at not getting to redo Torrey Pines North there's sure been a lot of Tom Weiskopf news lately. Guy gets so much pub I should hire him to redesign my book cover (if I ever get sick of it). Bamberger: It's fine to be candid -- it's welcome -- but criticism without any style points or depth is just really another way of showing your shallowness and self-absorption. Passov: It's just Bubba being Bubba, again. What a ridiculous thing to say, given what his sponsors mean to this tournament and what this tournament does for golf, not to mention Bubba's own stellar record of top-5 finishes. Of course, I live here, so I'm a little sensitive. 3. 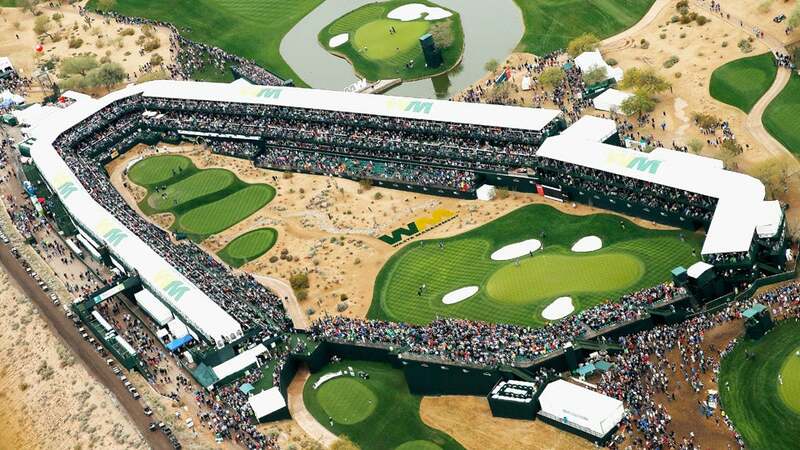 The always-boisterous WMPO drew a record 201,003 (!) fans on Saturday. 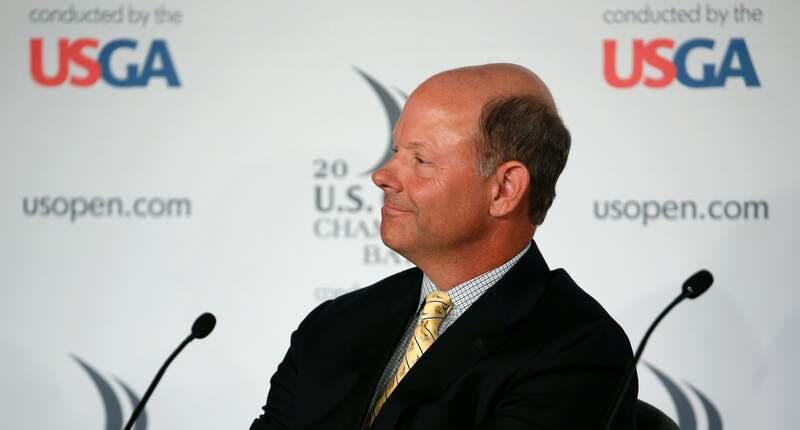 Is it time TPC Scottsdale landed a bigger event, like, say, a Ryder Cup? Bamberger: If a Ryder Cup were played there, would Bubba sit it out? If so, book it. Shipnuck: Nah, it's perfect as is. For the love of Hogan, don't let anyone mess with this sacred event. Morfit: A Ryder Cup at TPC [Scottsdale] would be a disaster that would have us longing for the sportsmanship at Brookline in ‘99. Shipnuck: Well, given that's one of the U.S.'s only wins in our lifetime, maybe that would be a good thing. Sens: Great venue for a party but it is, as the golf scholars say, sui generis: an outdoor bash made up only partly of golf fans. The Ryder Cup, for all the many ways it has evolved from its original shape, is still an event for people who care deeply about golf and understand the game. Ask a lot of fans in Scottsdale to name ten players on Tour, and they struggle after ticking off Tiger and Phil. Morfit: Ask some “fans” in Scottsdale if they are aware that there's a golf tournament going on, and they struggle. Ritter: I don't know ... RC would be a different time of year and a higher price point, so you could get some new faces in those bleachers. But if there's one thing we've learned from recent Ryder Cups, it's that the course hardly matters as long as the infrastructure is there. I don't think a Scottsdale Ryder Cup would be a disaster, but one trip there per year is probably about right. Van Sickle: First off, the PGA of America's Ryder Cup is never going to be held on a TPC course, founded by the PGA Tour. And if it was, it should be Sawgrass, which would be a great match play track. Second, it would be way too scorchingly hot for a U.S. Open or PGA in June or August in Scottsdale. If you moved the PGA Championship to February one year, that might be interesting, but where would the WMPO go? So, no. Shipnuck: I hate it when you bring logic into these discussions, Vans. Morfit: Yes, that was way too cogent for Tour Confidential. Fifteen-yard penalty on Mr. Van Sickle. Passov: There's no other event on Tour that could survive a Super Bowl Sunday. The tournament knows it and the Tour knows it and here in Scottsdale, we just accept it. It's the perfect event at the perfect time. The region has struggled to support other professional golf events at other times of year. Leave it just the way it is. 4. In recent weeks a number of players have said that winning an Olympic medal and/or the Ryder Cup would mean more to them than winning a major. Is this encouraging evidence that the game is broadening its scope, or do you suspect that many of the players who purport to put team and country in front of self are just being politically correct? Morfit: If you're a young American, you're never going to take heat for saying you desperately want to win the Ryder Cup. So a little of it is probably guys being PC. That said, I'd understand it if guys like Justin Thomas were well and truly sick of watching Europe celebrate. Sens: Maybe I'm reading into the psychology too much. But I imagine it's also partly a way to take pressure off oneself. You commit yourself to team and country, elevating those events in your mind, and the magnitude of the majors becomes a little more manageable. Morfit: Good point, Josh. The majors are such a stress-fest, and there are only four of them, so even a minor hiccup can lead to a totally lost year. (Just ask Rory.) I can see players consciously or unconsciously attempting to take that edge off by mentioning the other important events. Shipnuck: I think pro golfers, a famously myopic subspecies, are actually getting a little perspective. Between each Olympics, 16 major championship will be played, and how many casual sports fans in the U.S. will remember who won any of the PGA Championships or British Opens? The Olympics is a big freakin' deal all over the world and I think pro golfers are finally starting to feel that. Same principle applies to the Ryder Cup. Van Sickle: It'll be a really big deal especially if you get a good winner for the gold medal. That will make everyone forget about Olympic golf's weak format and small, spotty field. It'll be a TV show, not a golf tournament, and it'll be a marketing bonanza for the medalists. Passov: Gary makes a great point. If we get a no-name winner or medalists, no one will care. Tennis started that way on the men's side when it debuted in the Olympics. Morfit: Golf tournaments are so much about getting a name winner it's kind of funny. If Fowler wins that playoff it's kind of a big deal here. Hideki? Well, big in Japan, but here not so much. Maybe that'll change. Ritter: It's telling that the players who have expressed disinterest in the Olympics (**cough cough** Adam Scott **cough cough**) appear likely to fail to qualify for the field. The Olympics will be special, and it's cool to see that players are already getting it. Bamberger: This is not based on any reporting, but I imagine the top players have enormous financial incentives from their sponsors to make it to the Olympics and bring home a medal. As for Ryder Cup golf, it's a function of our NFL-dominated culture, where team play, and representing your city, trumps all, at least in theory. But it makes no sense in golf. Part of golf's deep appeal is how lonely the player is, out there in the fairway, with his ball at his feet, all those thoughts in his head, all that quiet around him. 5. The spectacle that was Super Bowl 50 was yet another reminder of the immense popularity and marketability of the National Football League. What could PGA Tour commissioner Tim Finchem learn from his NFL counterpart Roger Goodell? Shipnuck: Nothing! Finchem has been wildly successful in exporting the PGA Tour brand internationally with the Presidents Cup and WGCs; his players enjoy the most lucrative retirement plan in pro sports and some of the biggest endorsement portfolios on the planet; and Finchem helped make the First Tee what it is and presides over one of the biggest philanthropic organizations in this country. In short, he is one of the most successful commissioners in sports history. Goodell, meanwhile, is a bumbling idiot. The NFL succeeds in spite of him. He should be coming to Finchem for counsel, not the other way around. Bamberger: Well, the question answers itself. Football is a spectacle. When golf tries to be a spectacle, it looks silly. But then a playoff breaks out, and guys match each other shot for shot, until they don't, and the game rises all on its own, just as it always has. Sens: Let's not ignore that what ultimately drives the NFL, other than primal tribalism, is: gambling. You get a lot of tribalism in the Ryder Cup, but otherwise it doesn't really apply in golf. And I'm not sure golf wants to be as closely linked to gambling as football is. The two products (and let's call them what they are) are so different that I'm not sure you can apply obvious lessons from one to the other. Morfit: They both could stand to edit their non-endemic advertising. Just overheard a spot for opioid-induced constipation in the Super Bowl broadcast, blaring in the other room. Come on, man! At least the kids got a laugh out of that one. 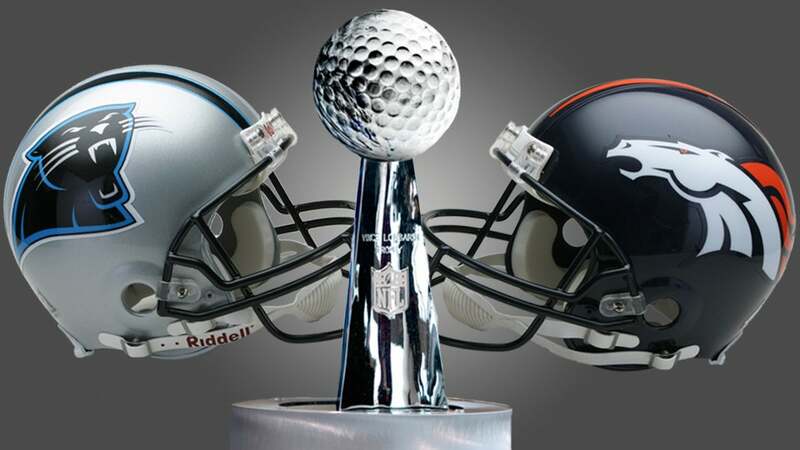 Charlotte vs Denver: Which Super Bowl 50 City Boasts the Best Golf? Shipnuck: Yeah, I'm pretty sure my 8-year-old now knows the dialogue to every Cialis commercial. Van Sickle: A team sport like the NFL and an individual sport like golf don't have anything in common. Other than copying the NFL's play clock and putting a shot clock on each player, I don't think Finchem has anything to learn from Goodell, whose many missteps include covering up the Patriots' spygate scandal and destroying the evidence to save face for the league. Ritter: I'll say this: The NFL has mastered the art of celebrating its own history. Did you see the old Super Bowl MVPs get introduced before the game? Other than the opening tee shots at the Masters (uh, and the senior tour), golf doesn't make the old-timers part of the week-to-week action. Could be an opportunity there. Passov: What's the closest thing we have to the Super Bowl in golf? The Masters? The Ryder Cup? Greater Greensboro? Tough to duplicate the build-up and the oneness of the Super Bowl. The Tour Confidential roundtable continues Monday on our new weekly show hosted by Jessica Marksbury. Tweet her your questions @Jess_Marksbury.